Tomorrow is Here - Page 2 of 49 - Where are you? Welcome, come in to the 357th Carnival of Space! The carnival is a community of space science and astronomy writers and bloggers, who submit their best work each week for your benefit. This weeks Carnival includes the latest form the Chandra X-Ray Observatory. 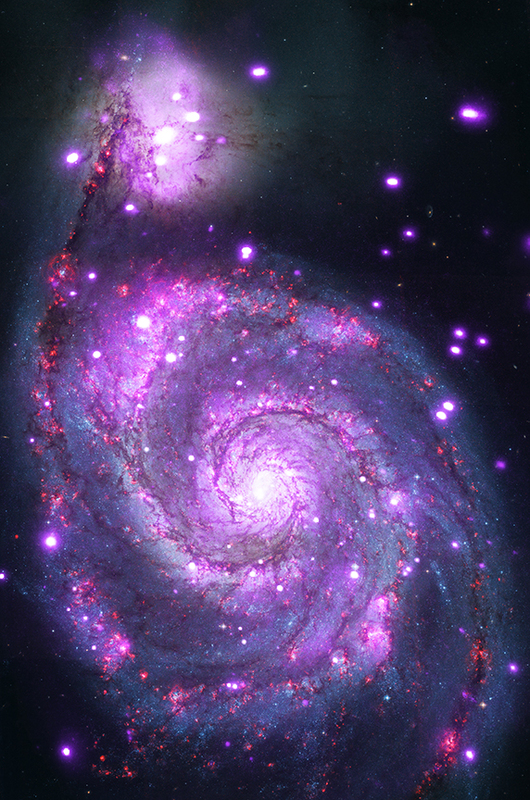 This amazing picture the M51 Galaxy X-ray sources overlaid with visible light . Zain Husain has posted Carnival of Space 356 on The Brown Spaceman. This is the first time I have seen this blog and it is worth a look. Talking of spacemen, there is an interesting article in the carnival from Space io9 discussing The SpaceX Dragon’s first mission to carrying live mammals for a three-week space trip. This NASA video give the background to the mission. The Carnival of Space 353 is up on The Venus Transit blog, hosted by Gadi Eidelheit. Welcome to a new edition of COS, number #353, with many articles by our community. A great list of articles dealing with astronauts, stars, planets, moon, comets, asteroids, spaceship, space’s history rockets and space’s business. There is no way that you will not find good material reading here.